Writing about photography, mostly in terms of its relationship to art and experience. 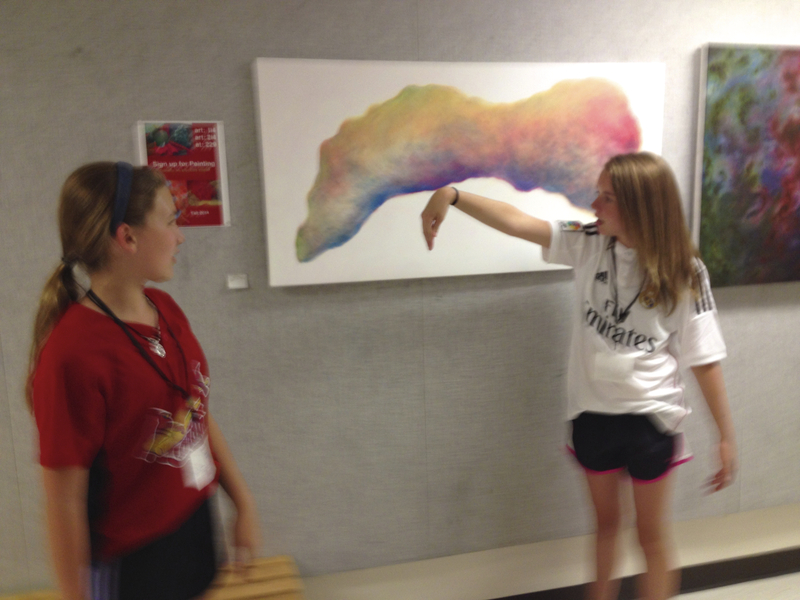 Articles on artists of many genres. St. Louis has some of the most self-deprecating residents of any major city that I have lived in or visited. Part of that has to do with conflated crime statistics (believe me, STL is by no means the “most dangerous city in America”), and part of it has to do with rust belt issues (ie. population loss, factory closures, etc.). To my wife and I, who decided to move here from Chicago, this attitude is wholly crazy. After all, not only do St. Louisans enjoy free cultural amenities that other cities’ residents would pay a pretty penny to attend, like the Saint Louis Art Museum and St. Louis Zoo, and have an enviably low cost of living (our three bedroom, two story, Art and Crafts home cost less than a one bedroom condo in Chicago), but they can drive an hour or so out of the city and feel like they have arrived on another planet. Onondaga Cave State Park is one of our favorite planets to visit. Spend enough time with film photographers in the digital age, and you will inevitably hear someone say, “I shoot film to slow down” or “I shoot film because it encourages me to stop and think before I take a picture”. I call this assertion “film pace”, and it is usually untrue. What a crazy year 2015 has been! 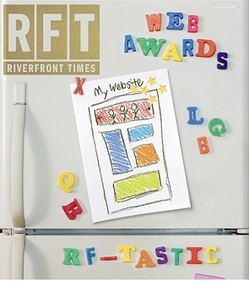 In January, I assumed a part-time role with f-stop Gear as their St. Louis Community Manager. This company designs expedition and backcountry packs for adventure photographers (landscape, action sports, nature, travel, etc.). As well, I took over curation duties at The Dark Room Photo Gallery and Wine Bar on behalf of my other employer, the International Photography Hall of Fame and Museum. The first exhibit that I would mount there was James Palmour: Reclaimed, a solo show of urban interior images by the St. louis-based, architectural preservationist photographer. I just finished a portrait session with mystery author, Elsa Hart. 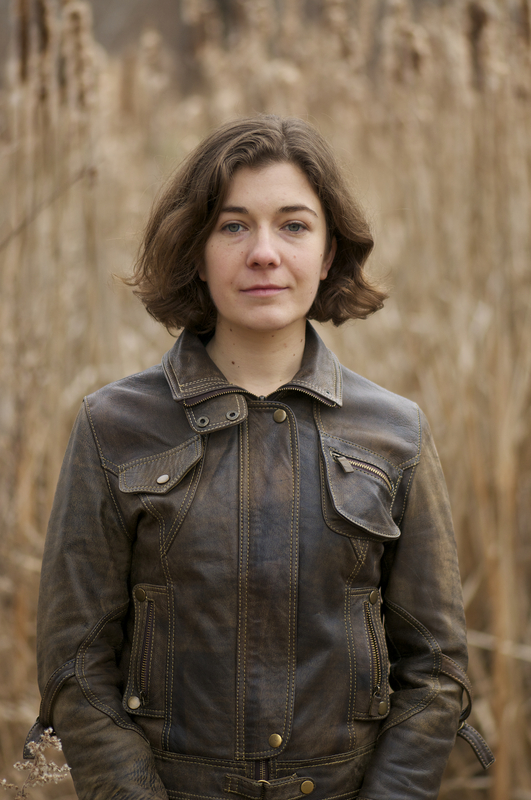 The images were produced as author photos for her upcoming, first novel. This genre of headshot has many variables that you might not at first consider. For instance, there are similarities for author photographs that are true for virtually all writing specialties (ie. romance writers smile playfully in theirs, while horror writers tend to look a little foreboding). What’s more, tastes tend to change dramatically through the years, with black and white images going in and out of style, and posing techniques ranging from highly apparent to nonexistent. For Elsa’s portraits, we agreed to maintain a somewhat serious tone that compliments her genre of storytelling and provides her with a sense of authority. In this case, the lighting was simple, spanning from diffuse sunlight provided by an overcast sky to a single speedlight (bare or with a honeycomb filter) for when more contrast is needed. For lenses, I used only the Nikkor 105mm f/2.8G or the Nikkor 50mm f/1.8D. The images are simple, straightforward, and required very little direction on my behalf. It is daunting to imagine these photographs as some readers’ first introduction to the author, but I think that they accomplish exactly what our aims were. 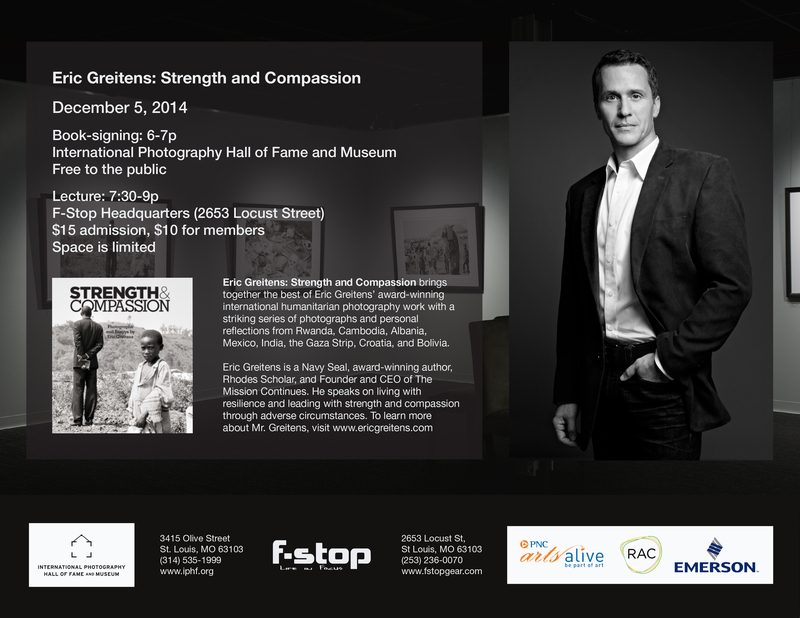 Eric Greitens: Strength and Compassion is an exhibition that I co-curated, designed and installed at the International Photography Hall of Fame and Museum (pics coming soon). The exhibit will remain on display through January 25, 2015. If you can make it, please come visit me and meet the photographer at the event below. For two weeks at the beginning of August, St. Louis Community College at Meramec was transformed into the College for Kids. Offering K-8 classes for gifted students, the courses ranged dramatically from chess instruction to animal demonstrations. As far as I could tell, I was the only educator representing photography this year, which explained the roughly 64 kids that came through my classroom. My three classes were Alternative Photography (1st week), Funography (2nd week), and The Photographic Series (2nd week). The experience was completely exhausting, but fun nonetheless.